Warrior Team Racket 85 Flex 63 "Extra long flex, yet long with edge and quick release, the new, edged ED GE construction creates a more stable, ultra-low kick that transfers energy to the lower shaft area faster and more effectively the shot accuracy could be increased and the duration of the firing could be minimized. EDGE Taper: The innovative, edged ED GE construction creates a more stable ultra-low kick that transfers energy to the lower shaft area faster and more effectively. This increased shot accuracy and minimized the duration of firing. MINIMUS CARBON 800: The extremely stable IMF 2 Carbon fiber is a flatwoven, ultra-light and durable carbon fiber. The high quality and lightweight material improves balance, responsiveness and playability. TRUE1 Phantom Feel: The redesigned True 1 construction ensures an extremely light Blade Balance and a smooth Flexbogen. The True 1 phantom construction gives you increased feedback from the racket for more control and feel. 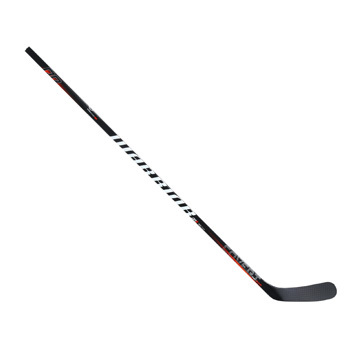 Pro GRIP: Our PRO Grip offers high grip and control.